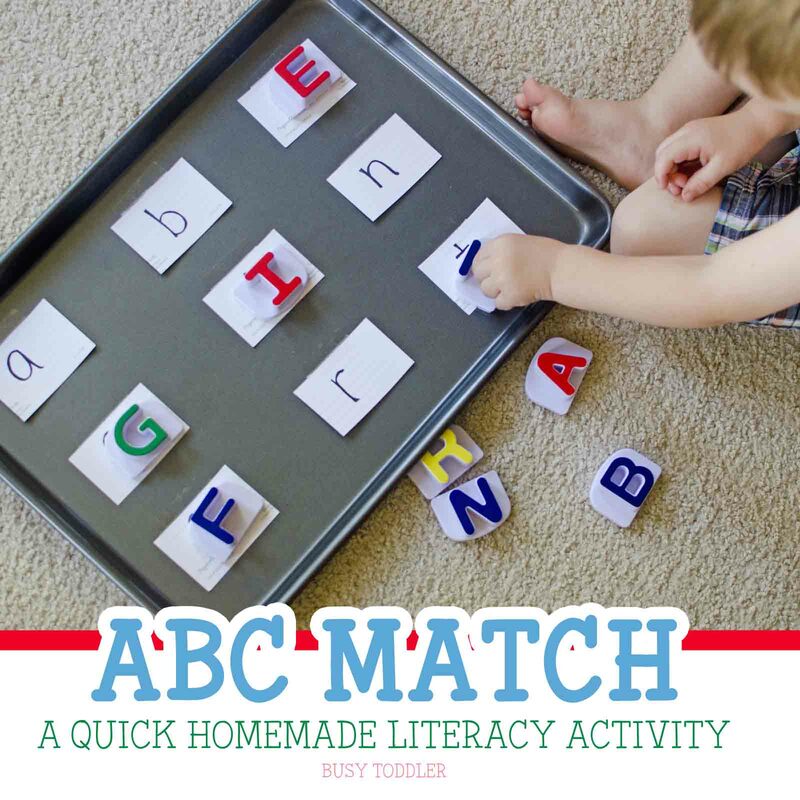 ABC Match is a quick and easy homemade activity. A very fun, very simple homemade matching game gave us something to do before dinner time. Hooray! 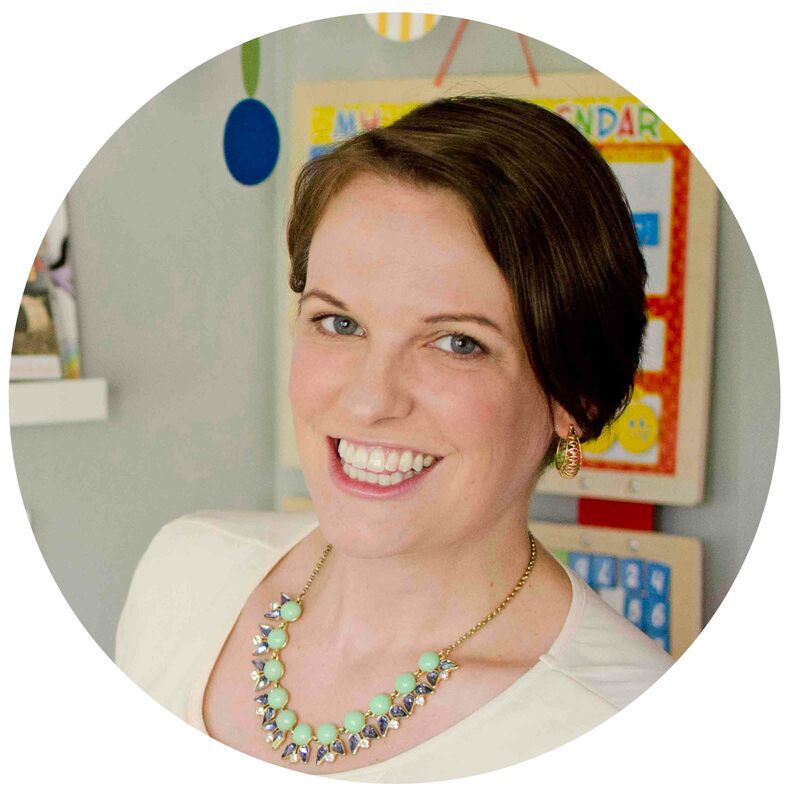 The idea for this “game” came from my former-teacher Mom who commented that all the alphabet puzzles we saw at the store were uppercase – but we hardly use uppercase letters in reading and writing. Why not make our own ABC Match to practice lower case letters? Setting up this ABC Match is so easy! 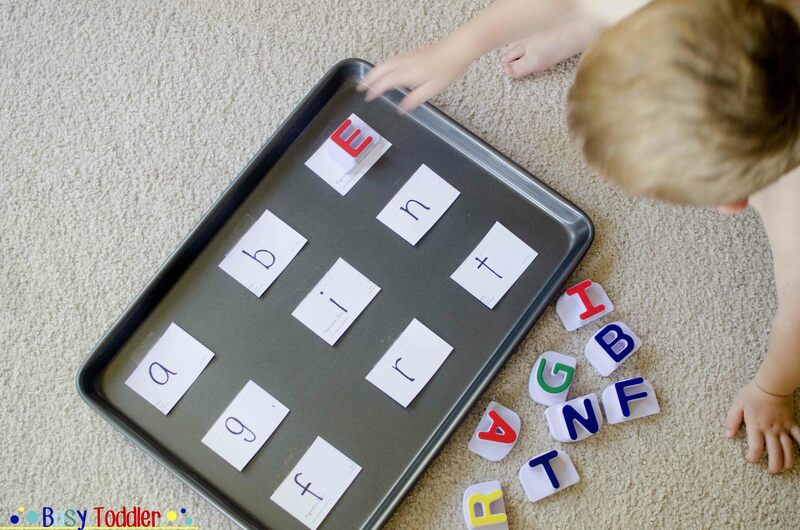 To practice matching upper and lower case letters, I wrote down a few lowercase letters on pieces of paper, then taped them to my magnetic cookie sheet. I made sure to pick letters who have drastically different looking lower case counterparts (think /D/ vs /d/ as opposed to /X/ vs /x/). 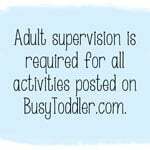 I handed my toddler the corresponding magnetic letters from his LeapFrog set and off he went. We ended up playing this over and over for days on end and have rebuilt it many times since. 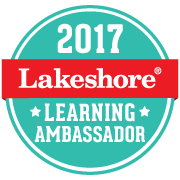 The perfect blend of educational and fun – it’s just a magnetic matching puzzle to him, but it’s so much more to the teacher in me. 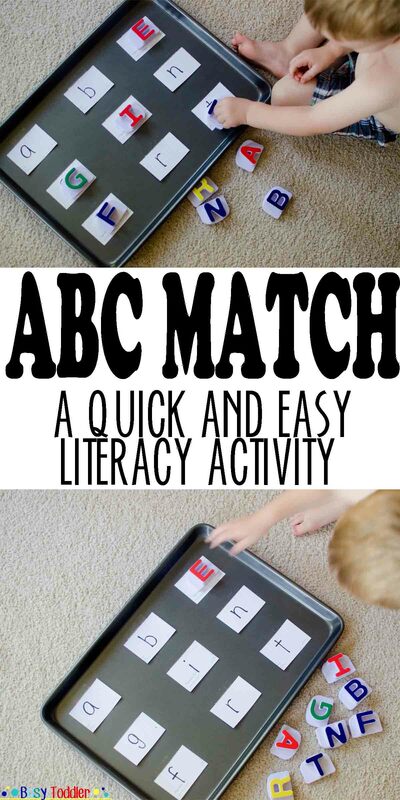 ABC Match is a perfect way to practice the alphabet with your toddler or preschooler. If they aren’t quite ready to match upper to lower case letters, try just upper case to upper case or lower to lower depending on your magnets. The variations for ABC Match are endless! What would your child think of ABC Match?